Our 2019 individual season pass is now available to purchase! 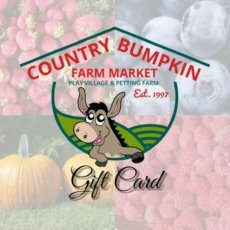 Good for General Admission to our Lil’ Bumpkin Play Village & Petting Farm at Country Bumpkin Farm Market every time you visit in 2019! The individual presenting the season pass must be named on the card and have both the season pass and photo ID. Season pass may not be combined with any other offers or activities and is not valid toward birthday parties or field trips. Individual season passes are non-transferable. Valid every day from 9 am to 6 pm, April 26th, 2019 through October 31st, 2019. Under age 2 is free. You can find more info about our Lil’ Bumpkin Play Village & Petting Farm here. Available to purchase in advance online through our Paypal link below or you may also purchase individual season passes at our farm store during regular business hours. *If you purchase season passes in advance, please bring a copy of your invoice with you and photo ID to receive your season pass card. Our 2019 CSA member shares are now available to purchase! 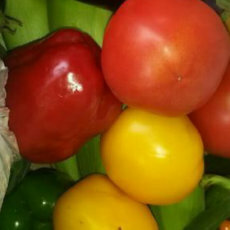 To find more information about our CSA membership, please check out our CSA page. Please download and fill out our CSA Sign-Up Form and email it to info@countrybumpkinfarm.com. If you prefer to pay in person or by mail with credit card, check, and cash payments, please fill out and return our CSA Sign-Up Form along with payment by May 1st so we know what extras to plan for our growing season.